New legislation will allow for “covert electronic surveillance”. GARDAÍ ARE SET to be given powers to crack down on criminals communicating using emails, social media and messaging apps. 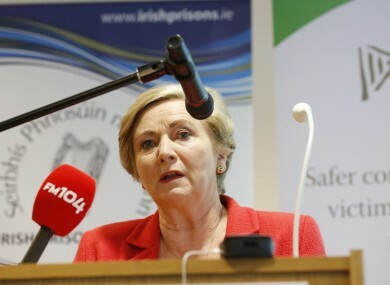 Amendments to the Proceeds of Crime Bill brought before Cabinet today by Minister for Justice Frances Fitzgerald contain measures aimed at tackling gangland-related crime – including the introduction of a mini Criminal Assets Bureau. Combat the threats from serious and organised crime and terrorism. The spate of recent killings in Dublin’s inner city has seen this brought forward as a “matter of urgency” and plans are for it to be on the statute books by the end of the year. The plans for this legislative overhaul were announced in May, and is applying significant updates to laws originally introduced in the 1990s to tackle gangland crime in the wake of Veronica Guerin’s murder. A key element of this is a change to the amount of money that can be seized, something determined in the Criminal Justice Act 1994. The amount gardaí or Revenue Officers can be seized will come down from €6,500 to €1,000 – allowing lower-level criminals to be targeted. The motion of approval on this is set to go before the Dáil tomorrow evening. How is property considered to be the proceeds of crime? One nuance of the Proceeds of Crime Act – which legislates for the seizure criminal assets – is that it is a civil act, not a criminal one. What this means is that for a person’s assets to be seized they do not necessarily need to be convicted of a crime – as property is targeted, not the individual. The determination about whether or not property can be taken comes down from the Garda Chief Superintendent, whose opinion will later be admitted as evidence. Email “New Bill to give gardaí powers to crack down on Facebook, WhatsApp and email messages ”. Feedback on “New Bill to give gardaí powers to crack down on Facebook, WhatsApp and email messages ”.